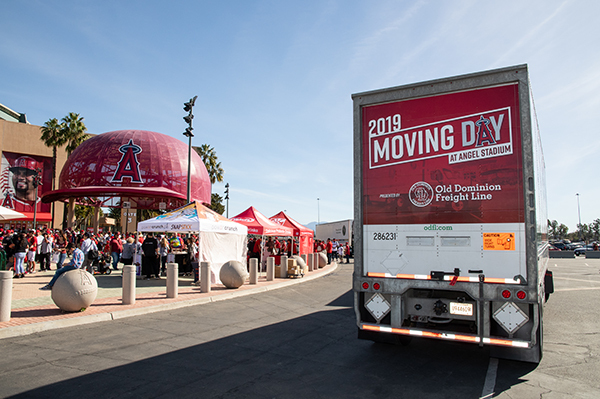 Old Dominion Freight Line, the Official Freight Carrier of Major League Baseball (MLB), is driving the celebrations for the annual Spring Training send-off tradition with MLB teams across the country. This year, the less-than-truckload (LTL) carrier will partner with the Chicago White Sox, Los Angeles Angels, Kansas City Royals, New York Mets and Philadelphia Phillies for their Spring Training send-offs. Traditionally, MLB teams flock to warmer states for Spring Training. Old Dominion is helping teams move everything from exercise equipment, baseball bats and balls, to sports drinks to their Spring Training destinations. Before the trucks hit the road, teams have special send-off events with fans, players, coaches, mascots and former players in attendance to celebrate the unofficial start of the 2019 baseball season.